Those in the know often state that Brandy de Jerez is one of the best bang for your buck spirits on the market today. This bottling from Gran Duque D’Alba is an excellent example of the style. This brandy has been made with the same grapes that make sherry (for which Jerez is far better known). The spirit was aged for 10 years in American oak sherry casks, resulting in a deeply flavoured and intense brandy. 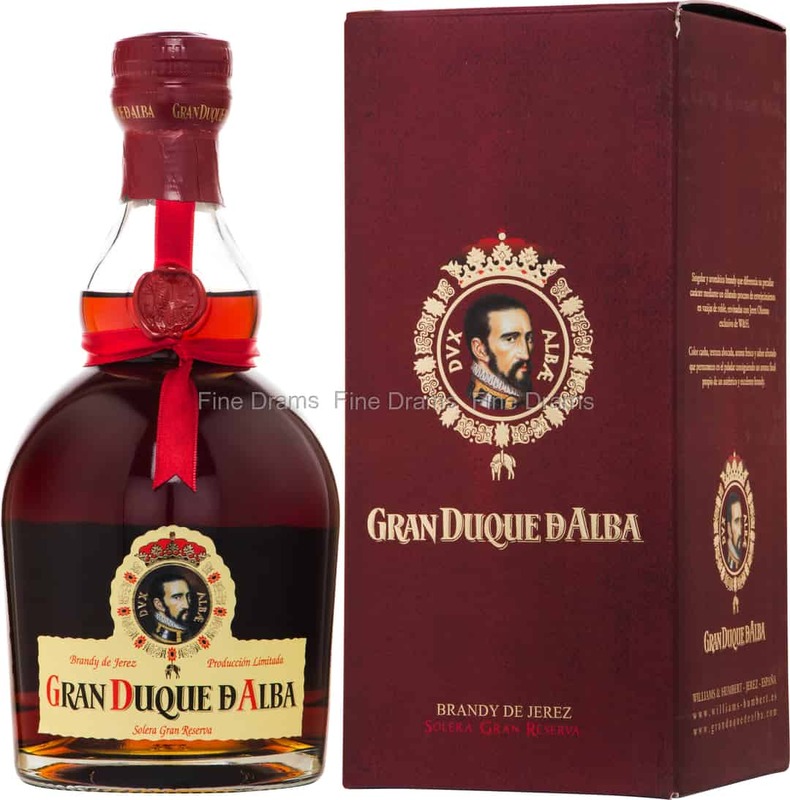 Gran Duque D'Alba offers flavours of dried fruit, grapes, plums, cherries, spice, sherry, old oak, honey, brown sugar, rancio and slight charred oak. A satisfying and flavoursome brandy, with an impressive maturity. This is a perfect alternative to Cognac.